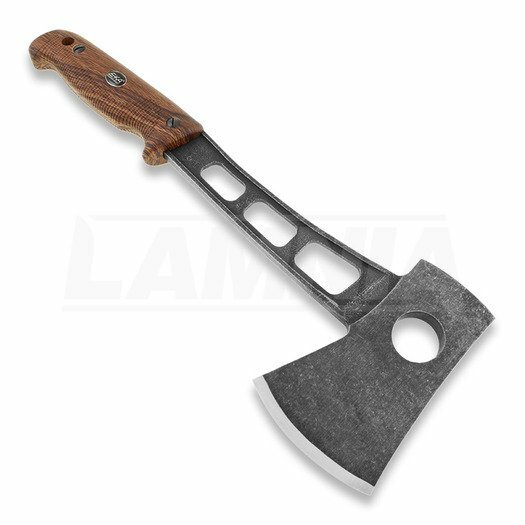 The HatchBlade W1 is the perfect compact sized all around hatchet. It is easy to pack and carry with you pretty much anywhere for any situation. 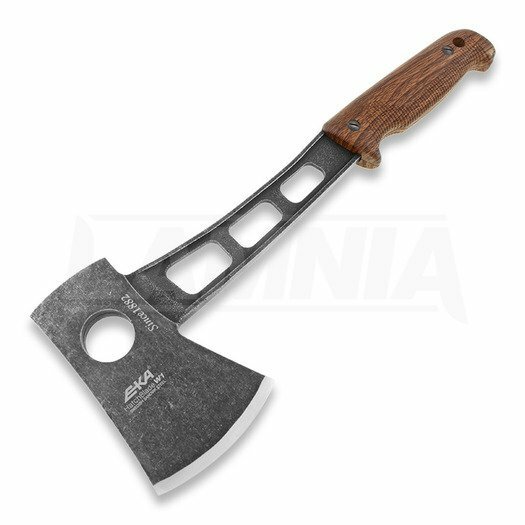 It has a nice ergonomically formed handle that feels comfortable in the hand and helps the user to achieve maximum power and impact when splitting or cutting wood. There is also a 1 inch diameter opening in the head that would allow the user to place a finger through for greater control and grip when using for small finer task such as making a tent stake, tinder, a feather stick or even for food preparation. The HatchBlade W1 comes with a Kydex sheath that has a Belt Clip as well as 11 lashing points so it can be attached to just about anything. Au mai rămas 75,52 lei până la transport gratuit!